First, government is, in the minds of many people, synonymous with bureaucracy. I’ve blogged about this before, but all large organizations, public or private, are painted with the bureaucracy brush. The bigger the organization, the more bureaucracy – and this applies to banks, manufacturing companies, the software industry and, well, everything where there are at least two people working together. 1. “Don’t worry about it – I got it.” It is really great when, as a manager, I know an employee is going to handle something – take care of it, keep people informed and get the job done. Erin Devoto, my deputy at the City of Seattle and now the acting Chief Technology Officer (CTO) there, is a living, breathing, example of this. She took so many projects and drove forward to make sure they were accomplished. 2. “Here’s a problem – here’s what I’d recommend and why.” Some of my worst experiences as a public sector manager were “monkey transfers”. That’s where an employee recognized a problem or potential issue, brought it to my attention and then walked out of the office – transferred the monkey from her/his back to mine. But some of my best experiences were when employees recognized an issue, worked with their team to brainstorm some potential courses of action, and laid them out for a decision. Usually those employees, after the decision was made, walked out of the office saying #1 above – “I’ll handle it”. What a relief. 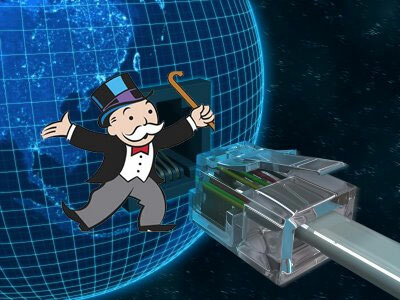 I’m going to especially call out Mr. Stan Wu at the City of Seattle on this one, as he did this many times for me on projects ranging from fiber optic networks to radio networks and others. 3. “What can I do to help?” There are few better experiences for anyone – employee or boss – than being faced with a difficult situation, and having the team come together to figure out a solution and implement it. Willingness to proactively help address issues or problems – not waiting to be tasked with an assignment, is a hallmark of a great employee. 4. “Playing the ‘Angel’s Advocate’ …” I’ve been in so many meetings which go on and on as employees raise one potential issue after another with a proposed course of action or an idea. I used to cringe when someone said “Playing the Devil’s Advocate …” and then went on to describe some low probability stupid scenario about how a course of action might fail. It’s almost like the employees had a pool or a bet on who could come up with the most issues or the most unlikely scenarios to kill the plan. Give me an “Angel’s Advocate” – a proponent – any day of the week. And if it is a legitimate issue or problem with the idea, suggest a way to mitigate it (see #2 above). 5. “I just read/watched/heard … and it got me thinking that…” As the boss, I love new ideas, and with all the changes in technology we’ve seen in the last 20 years, such ideas abound. In government it is relatively easy to find ideas which haven’t been tried – usually private sector companies are first to adopt new technologies such as online services or mobile applications. Figuring out creative ways to use those in the government’s service to constituents is something every employee can do. 6. “This idea has some risks, here they are, but I’d like to try doing it … ” Government employees are notoriously risk adverse. I never quite understood that – most are protected by civil service or seniority rules or union bargaining agreements. Perhaps the risk aversion rises from fear of a newspaper headline or wasting taxpayer money. Frankly, I think bad bosses have a role to play too – ones who steal ideas for themselves or have a negative attitude about anything new. In any case, an employee who is willing to risk their reputation on an innovative solution can be a breath of fresh air. 7. “You know how we’ve been doing X? Why do we do it that way?” This one needs little explanation. We call it “paving the cowpath” when we apply technology or automate some business process without examining how to improve the process itself. Whether it be procurement or personnel actions or decision making or delivering a service, we should always look at the process first. This is even more important in government organizations where culture can be hard to change and existing business processes have very deep roots. No amount of technology or automation will materially improve an outmoded process. 8. “How am I doing?” Frankly, I used to cringe at employees who asked me this. Giving feedback – and honest feedback – is hard. Many employees don’t want to hear bad news and many bosses don’t want to give it. But regular sessions of feedback are much more important than formal performance evaluations. And, of course, the flip side of this coin is willingness to accept that feedback, including #9 below. And employees don’t need to wait for the boss to initiate such conversations. 9. “Here’s what I learned and how I’ll do it better next time”. It is hard for many bosses to give feedback to employees on performance. It’s much easier if the employee recognizes their own strengths and weaknesses and proactively brings them forward for discussion. This requires, of course, a high level of self-awareness, which is difficult for many people. (I had a long-standing employee who was totally delusional about his technical skills and abilities.) Going through post-mortems on projects and honest self-evaluation is important, and then vetting it with the boss is, again, more important than formal performance evaluations. 10. “Here’s how I feel about that … ” It takes a lot of guts for an employee to come forward to his/her supervisor, manager or director and give their honest opinion. The other side of this coin is that your opinion should be well considered and logical, not just some unsupported personal opinion. And it should be YOUR opinion, as an employee. I hated it when an employee said “And everyone else feels this way too”. Oh yeah? Where are they at? And who appointed you as the spokesperson? Of course, some supervisors don’t want to hear what their employees have to say, which is a subject for a different blog post. 11. 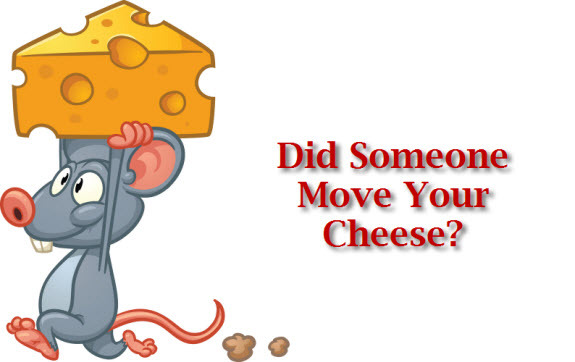 “Yes, Boss, sometimes I know you’ll move my cheese … ” Change is a constant in any technology organization, or, indeed, any organization which uses technology at all. Whole industries are undergoing upheaval – just ask anyone in the newspaper, photography or land-line telephone business. Employees need to expect change, even in government, and sometimes it won’t be an improvement. But, conversely, the boss needs to explain the changes and the rationale for them. And speaking of bosses, just like with Steve Radick’s columns, my next blog post will be about what the CIO or boss should be saying to Public Sector Employees. One of my philosophies, working as a senior level public official in a local or state government, is that the boss – the elected official – is always right. Most State, City, County and other non-federal CIOs either work for a city/county manager or for a Governor or Mayor. That official is the “boss”. We give the boss our best advice, but if they decide to do something different, then I invoke “nobody elected me”. In other words the elected official is responsible to the citizens and constituents of the city, county or state. And that elected official will receive a report card every two or four years in the form of an election. 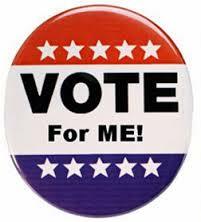 If the electorate doesn’t like the way the government is running, they’ll make their wishes known at the ballot box The Mayor or Governor was elected to make the decisions, not me. I’ve got two reasons for writing this blog post. The first one is to try and reflect upon the stupidity of what happened in New Jersey in September. The second reason is to demonstrate how “nobody elected me” plays out in information technology. Such instances are, thankfully, far and few between. One of my heroes is Bill Ruckelshaus, who resigned as deputy United States Attorney General. He resigned rather than carry out an order from then-President Richard Nixon to fire the special prosecutor in the Watergate affair. As any reader probably knows, staff members of New Jersey Governor Chris Christie ordered the closure of all-but-one traffic lane on an approach to the George Washington Bridge in early September, 2013. Governor Christie was conducting a campaign for re-election, and the closure was apparently ordered to “punish” the Mayor of Fort Lee, New Jersey. If you were an employee of the Port Authority of New York and New Jersey, and you were actually ordered to set up the traffic cones and shut down traffic for no apparent reason, what should you do? Refuse to obey the order? On what grounds? I can’t judge the employees of the Port Authority because I don’t know what they (or their supervisors or their managers or their directors) were thinking as the traffic cones went into place and all hell broke loose for three days of traffic on that bridge. Perhaps they invoked “Nobody Elected Me” or “the boss is always right”. Perhaps they feared to question the order in order to preserve their jobs. 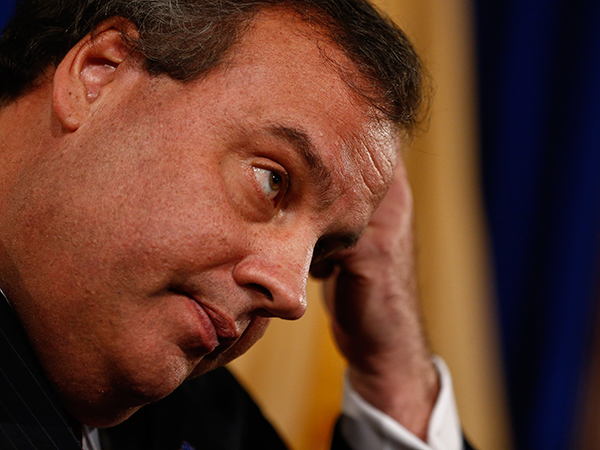 Somebody in New Jersey government, however, should have been asking questions in September, not now in January, 2014. “Nobody elected me” is useful when explaining otherwise inexplicable decisions to technology department employees. For many IT employees, the “right” decision often appears to be obvious. Many such employees don’t see the nuances of political reality (especially when it comes to funding). A few years ago, when I was CTO of the City of Seattle, I reported to Mayor Greg Nickels. Mayor Nickels and I and a third department head – responsible for the central customer service at the City – jointly decided a 311 system was needed in Seattle. 311 seems enormously logical to me. What phone number do you call if you see a fire or are having a bicycle accident (like I did) – 911, of course. But what number do you call if you want to report a backed-up sewer or you want to complain about taxi service or your cable bill? 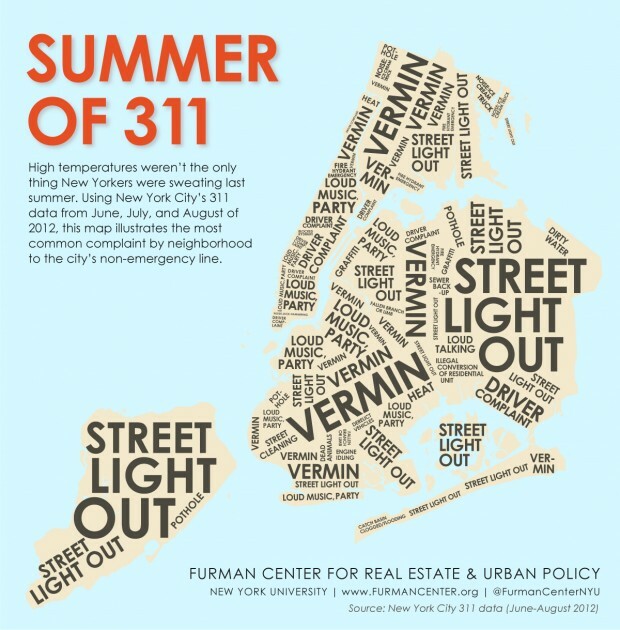 In some forward-thinking cities like Chicago and New York and Louisville that number is 311. But in Seattle you search through six pages of 8 point font in the phone book (if you even have a phone book) or search a website (if you have Internet access) to find some incomprehensible number. That sort of stupidity made no sense to me as CTO and it made no sense to Mayor Nickels. Alas, the Seattle City Council didn’t see it quite that way, and rejected Mayor Nickels’ proposal because they didn’t see a need equal to the $9 million cost to implement. But the electorate has spoken. Two months ago, in November, 2013, they voted to start electing council members by district. When that law takes effect in two years, council members will start feeling the pain of citizens in their district complaining and will, I think, be much more supportive of 311. Yup, nobody elected me, but there’s always an alternative path to the goal.